How did Solar Under the Sun (SUS) get started? 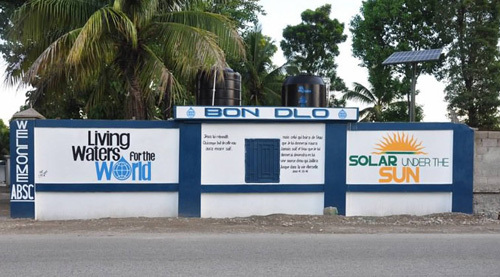 In 2009, our sister organization, Living Waters for the World, worked with the leadership of the Synod of the Sun, a regional governing body in the Presbyterian Church (U.S.A.) They thought a new ministry of solar power systems to pair with their water treatment systems would be a natural fit for our Synod, which includes all the PC(USA) congregations in Arkansas, Louisiana, Texas, and Oklahoma. The Synod leadership jumped at the chance, and quickly found Presbyterians and other Christians to come together to start Solar Under the Sun. Chris McRae, our former Executive Director, who is an instructor for Living Water for the World's Clean Water U, joined with many talented people to help develop this outreach. As a result, in May of 2010 our first Solar under the Sun training class began. Do you have to be Presbyterian to be part of Solar Under the Sun? Not at all! Of course, Presbyterians are excited about being involved in this ministry. We also welcome opportunities to work with other Christians and faith communities to help bring solar power to areas in need. 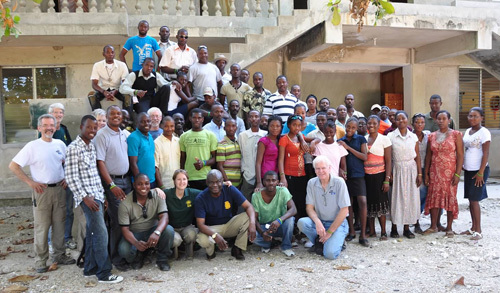 Our Solar School has already graduated Catholics, Baptists, Methodists, and others, as well as plenty of Presbyterians. Part of our joy is working together across congregational and denominational lines! How big is a SUS solar power system and what can it power? 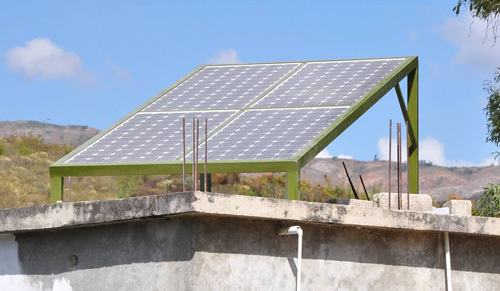 SUS solar power systems are designed to be small, usually one to six photovoltaic panels. This size is manageable for a congregational team and is small enough to be maintained and sustained into the future by the in-country partner. All our partnerships and installations are with an in-country partner, such as a church, school, clinic, or other community institution. The systems are custom-designed to power electrical needs of the community—water pumps and treatment systems, lighting, cell phone recharging stations, or other urgent power needs. Can I get a SUS solar power system for my home? Currently, our ministry is to communities in need in other countries, usually those without access to a reliable power grid system. But, you will learn a lot about solar energy and solar power systems at our Solar School to give you a base to help carry you to the next level! I have a connection with a community in need in another country. How can I get a Solar Under the Sun system to them? 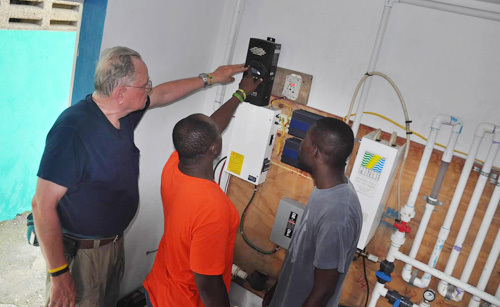 All our systems are installed by volunteer teams who have been trained at Solar School. We encourage you to send at least one person to Solar 1 and one person to Solar 2. Then you'll be able to begin a conversation with your international partner about a possible SUS system. I can't go to Solar School, but I'd still like to support this ministry. How can I help? There are many ways you can help. You can donate, buy merchandise, or share our promotional materials. Why is Solar power so important in the developing world? Almost 2 billion people on this earth have no grid power and probably never will. It costs more to deliver electric power than it does to build the power generating plant. Most of these people could not afford to tap into this grid system even if it were available. The sun's delivery system is free!